Think about your posture right now, as you’re reading this article. Are you at your desk, slumped over your keyboard? Maybe you’re on the couch, curled up on your laptop? On the train, hunched over your phone? Many of us are guilty of improper posture, and it is causing us pain! From pain relief to confidence, there are many benefits to good posture. When you sit or stand with improper posture, your muscles and joints need to work overtime to balance everything out. This can lead to back and neck pain and even cause tension headaches! When you have proper posture, everything is balanced and it’s easier for your body to support its weight. This helps to eliminate pain and prevents future damage to your spine, and spinal disks. Proper posture while sitting and standing allows your body and all of its organs, to function as intended. A slumped posture closes your rib cage and abdomen, which can have a negative impact on your breathing and digestion. 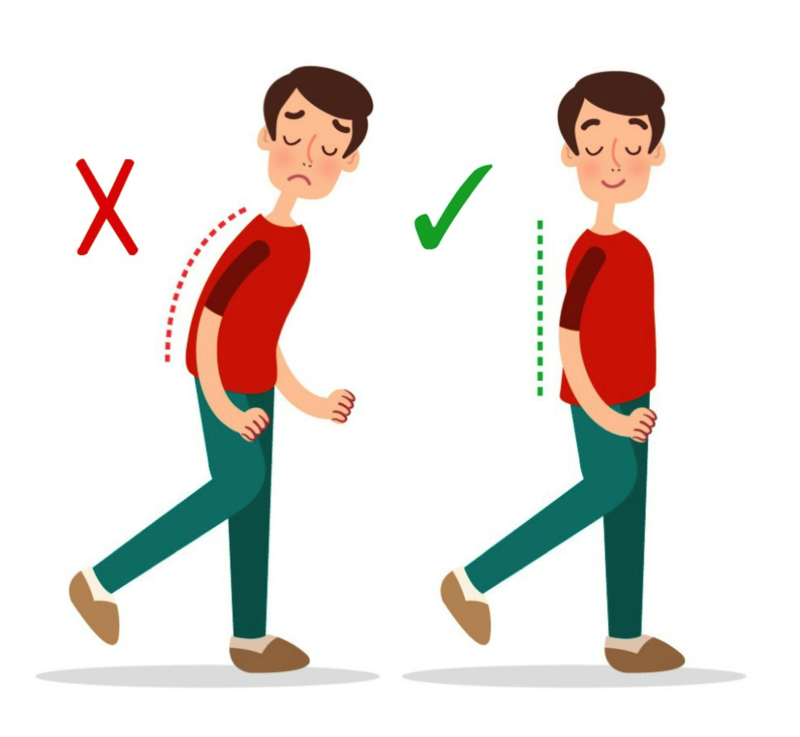 Proper posture opens the rib cage, giving your lungs the room they need to expand, and your digestive organs the room they need to work properly. Studies have shown that proper posture can help you better retain new information. The thought behind this is that since you are able to take in more oxygen, your cognitive function improves. When we stand taller, we look more confident and feel more confident. So what is proper posture? Can I correct my posture? Yes! You can! It will take a bit of conscious effort on your part, but posture can be corrected. Once you are aware of your posture and how it is affecting you, you can make the necessary changes. To achieve good posture, your muscles need to be flexible, your joints need to have normal range of motion, and the muscles along your spine need to be balanced. This is where massage can help! A Licensed Massage Therapist can help get your body in proper alignment, which allows you to focus on your posture without fighting the damage that has been done. Correcting long-standing postural issues can take some time. If you’ve been sitting, slumped over for years, you really need to retrain your body (and your mind) to the new and proper posture. With practice, your new posture will replace the old postural bad habits and you’ll be on your way to a happier, healthier life!